Why did the crowd in Jerusalem choose Barabbas, not Jesus? Because Barabbas, a political terrorist and criminal, was the Sanhedrin’s preferred candidate. Pontius Pilate did not realise that the people of Jerusalem, who hated the Roman presence in Jerusalem and were fiercely loyal to their leaders, would never accept Pilate’s choice. Apparently it was the custom to release a prisoner at Passover. Josephus, the Jewish historian, says that the Romans sometimes gave an amnesty to prisoners in Judaea for political reasons. This practice is not mentioned outside the gospels, but that is no reason to doubt it. It may have been Pilate’s invention, occurring only while he was governor. He was always looking for ways to mollify the people and gain popularity for himself. 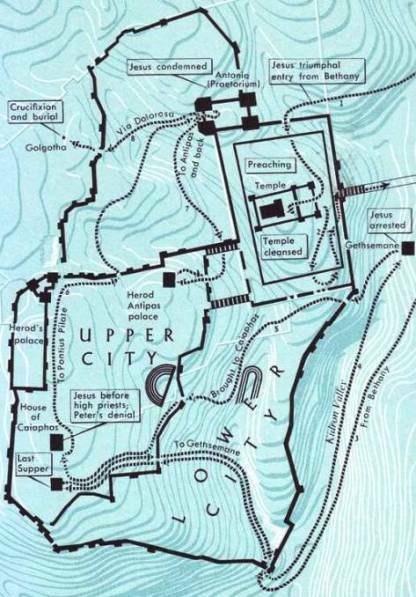 Jerusalem was a notoriously difficult posting for any governor. On this particular morning a crowd had gathered outside Pilate’s Jerusalem headquarters. It was early, but the city was swollen with Passover pilgrims from all over Israel. Barabbas, film stillA substantial crowd came from the lower city, the less affluent part, to the praetorium. They were there to support their preferred candidate for amnesty. Some may have been Galileans, but not many. The arrest and trial of Jesus had taken most of his supporters by surprise, and they probably did not know his whereabouts, let alone the danger he was in. Barabbas, a man who led an uprising and committed murder, who many ordinary citizens of Jerusalem saw as a patriotic freedom fighter. Because he had opposed the Romans, Barabbas would be a hero to many of the Jews; they would prefer him to Jesus, a religious reformer from remote Galilee. Pilate saw this as an opportune moment. He was convinced Jesus was innocent, and he clearly did not want to release Barabbas, who was more of a political threat to the Romans than Jesus was. He wanted to play the crowd against their leaders, the Sanhedrin, and deflect its members from a choice he deemed madness – the murderer Barabbas. He believed the people would fall in line with his proposal, and free the comparatively harmless Jesus. By doing so he showed himself to be out of touch with local sentiment. The crowd chooses Barabbas – why? Why was the Jewish Sanhedrin determined to get rid of Jesus? Some of them were genuinely nervous of the crowds Jesus attracted. Jerusalem was always combustible, particularly at festival time, and as far as they were concerned, Jesus was in the wrong place at the wrong time. Some may have been jealous of his popularity and influence. They, highly educated men, may have felt humiliated that a peasant from nowhere had made such an impression on the people, and was influencing them to ask questions about the established hierarchy; was this the Establishment versus a grassroots reform movement? Both Philo (a philosopher) and Josephus (a Jewish historian) make it clear that Pilate detested the Jews. Whenever he had to deal with them he inevitably took the opposite position to what they wanted. He did this when the Sanhedrin brought Jesus to him. But he was no fool. He saw that the Sanhedrin were using legal processes to get rid of someone who was causing them trouble. The crowd had to choose between two candidates, one proposed by Pilate, representative of Rome, and the other by the Sanhedrin, their leaders. It was no contest. Choosing Jesus would have been disloyal to their Jewish leaders. So Jesus became a victim of the political forces that swirled around Israel/Judah. 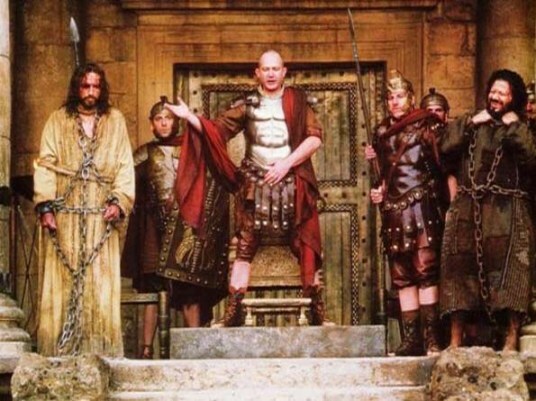 Pilate may have seen Barabbas as a terrorist but elements of the crowd, on that particular morning, in that particular place, saw him as a freedom-fighter. They clamoured for Jesus’ execution – virtually a lynch mob. There was the unspoken assumption that if Pilate was a good governor, he would bow to their wishes, rather than provoke a revolt. 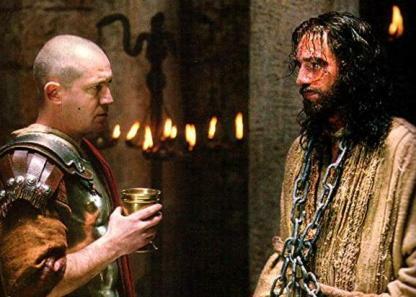 Pilate was clearly amazed by the people’s choice of Barabbas. Although he was unhappy, he nevertheless went along with it. He knew Jesus had not violated any Roman law. Thus even though he might symbolically wash his hands and declare his own innocence, he was as guilty as anyone else, perhaps more so, because he had the responsibility of a leader. He sent an innocent man to a hideous death. 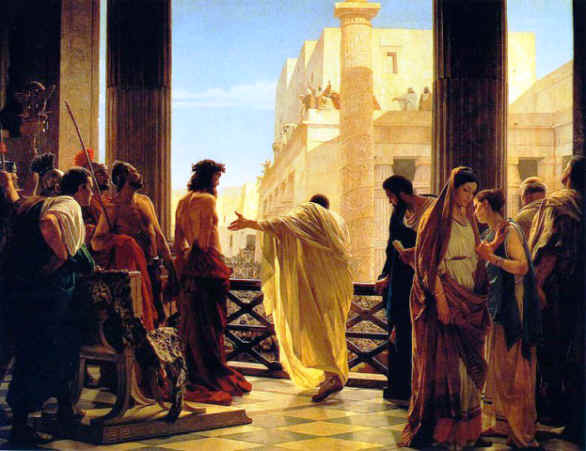 Given the choice between Jesus, a social/religious reformer, and a festival riot in Jerusalem, Pilate decided that one death was better than a possible revolt – and all the deaths that would cause. He succumbed to Jewish pressure. He made his proclamation from the judgement seat of the praetorium. He did it reluctantly. His wife – tradition calls her Procla – sent her husband an urgent message that she had had a dream, more like a nightmare, that he was not to condemn this innocent man. 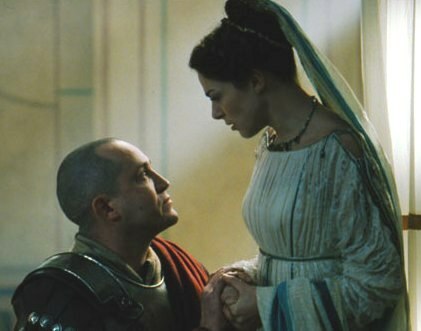 This might seem a trivial reason to a modern person, but Romans and Jews saw dreams as divine revelations, sent to guide humans, and Pilate would have ignored his wife’s dream with great reluctance. The sentence proclaimed was crucifixion, a death that was meant to terrify the general populace and deter them from committing a similar crime. Rebels against Rome were usually executed in this manner. 14 And Pilate said to them, “Why, what evil has he done?” But they shouted all the more, “Crucify him.” 15 So Pilate, wishing to satisfy the crowd, released for them Barabbas. 16 And they had then a notorious prisoner, called Barabbas. 26 Then he released for them Barabbas, and delivered him to be crucified. 20 Pilate addressed them once more, desiring to release Jesus; 21 but they shouted out, “Crucify, crucify him!” 22 A third time he said to them, “Why, what evil has he done? I have found in him no crime deserving death; I will therefore chastise him and release him.” 23 But they were urgent, demanding with loud cries that he should be crucified. And their voices prevailed. 24 So Pilate gave sentence that their demand should be granted. 25 He released the man who had been thrown into prison for insurrection and murder, whom they asked for; but Jesus he delivered up to their will. Pilate said to them, “Shall I crucify your King?” The chief priests answered, “We have no king but Caesar.” Pilate said to them, “Shall I crucify your King?” The chief priests answered, “We have no king but Caesar.” 16 Then he handed him over to them to be crucified.